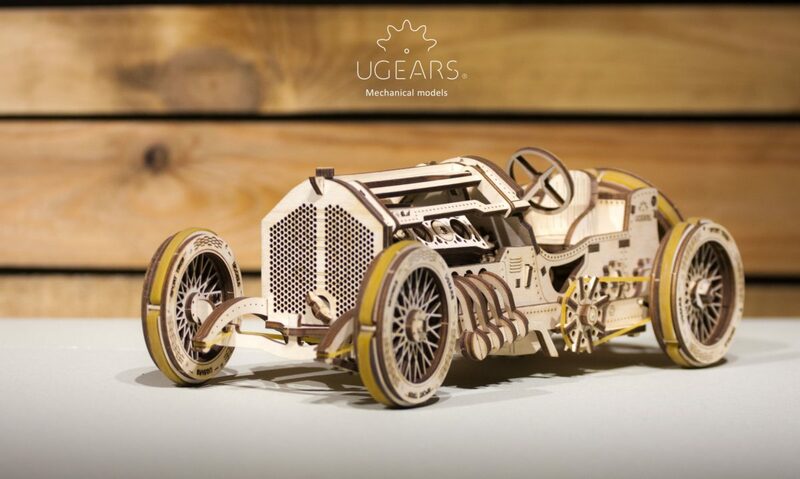 For the fans of vintage race cars and auto race track regulars UGears presents the latest intriguing addition to its vehicle collection: Ugears U-9 Grand Prix Car. 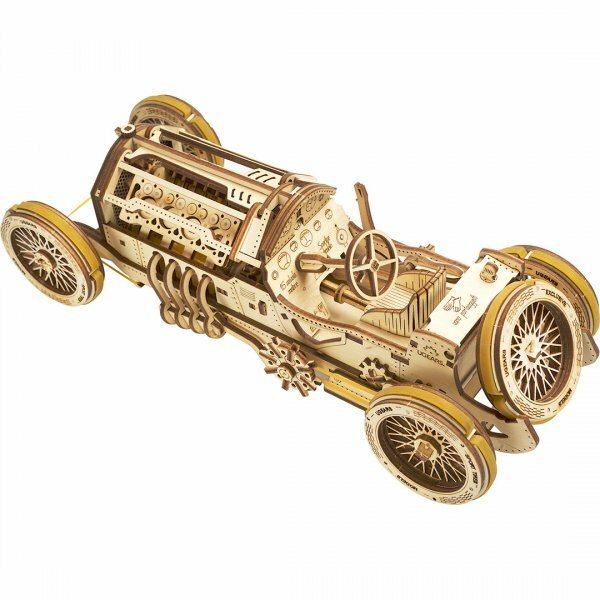 Inspired by the 20th century early race vehicles and the first Gran Prix race car, UGears created this new exciting mechanical model. The oblong body shape, exposed radiator grille, drive belt located on the outside of the car and many other eccentric details resemble all the features of the race vehicles participated in the very first Grand Prix race that took place in Italy at the beginning of 20th century. 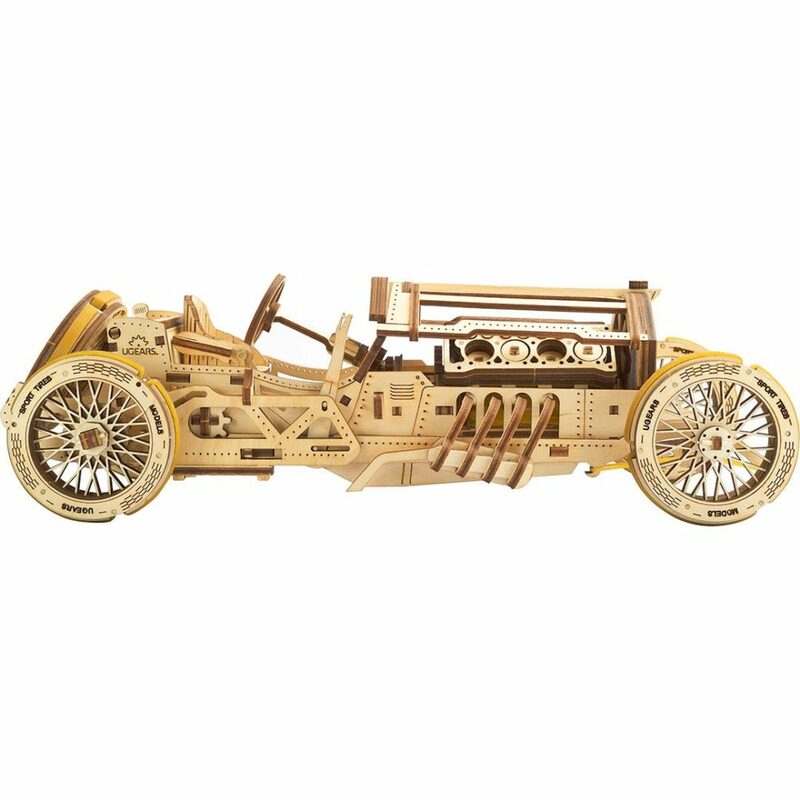 UGears U-9 Grand Prix Race Car features a fully functioning 16-valve V8 engine, link rod and transmission that switches the modes from idle to reverse and to forward. It has a spring-suspended fork and wheels with rubberized genuine sports tires that ensure a rapid acceleration, yet smooth ride. 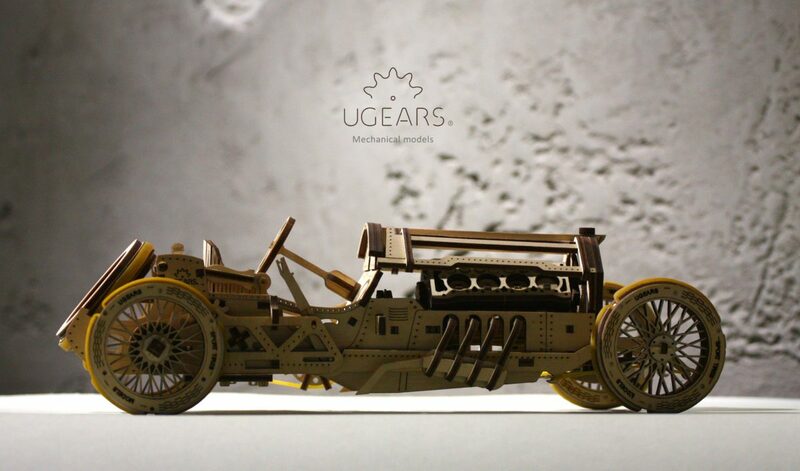 Like all UGears vehicles models U-9 is set in motion by a rubber-band wind up motor. Simply crank up a handle located in the front of the model and watch it race a distance up to 10 meters. I rarely write product reviews, but in this instance I feel compelled to do so. 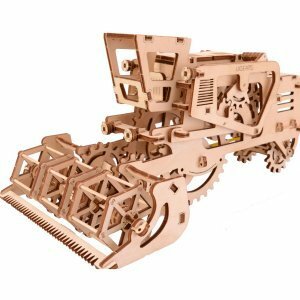 As a woodworker, retired mechanical engineer and as an owner of a desktop laser cutter/engraver I feel that I am somewhat qualified to comment on your products. I recently purchased and assembled your U-9 Grand Prix Car model. I was extremely impressed with this kit. The design of the model is absolutely ingenious. 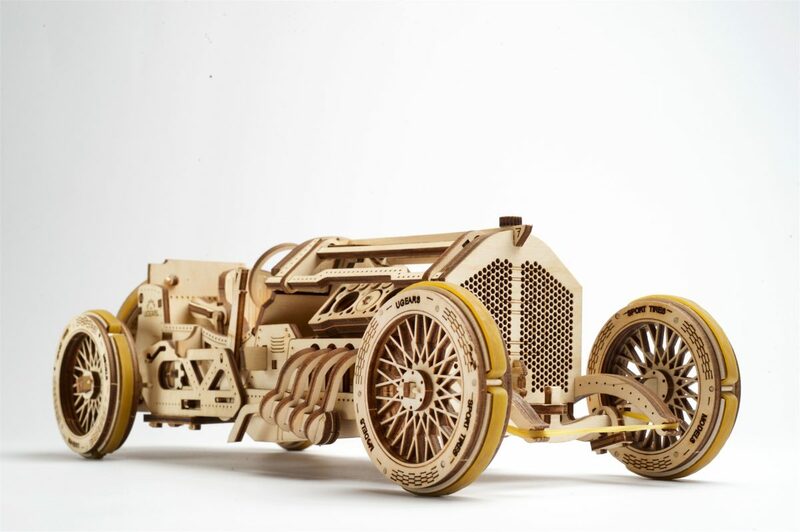 Assembly progresses from a flat pack of laser cut plywood, toothpicks and rubber bands to a beautiful work of art. 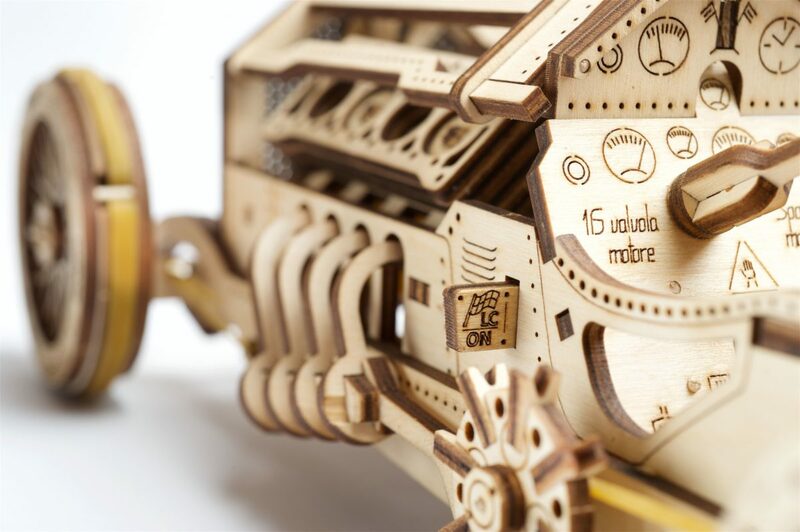 I was amazed that the model included a functional engine with reciprocating valves and pistons, a transmission with forward-neutral-reverse, front end steering and suspension, and a rubber band driven, wind-up drive train. 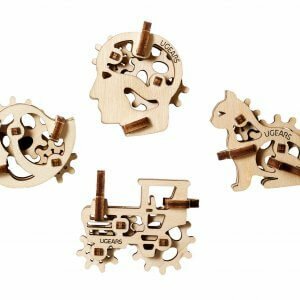 The materials, the laser cutting and engraving, and the fit of the components were all superior. I found the pictorial assembly instructions to be quite good and the QR link to a video for a more complicated section was helpful. I would give this model 5 out of 5 stars. My only regret is that the building is now over. Thankfully you have many more models that I can collect. Awesome model. Quality of the engineering and parts is extraordinary. I found the rubber band motor to be the most challenging. Some of the steps seem out of sequence for an easier build. But thought given to the assembly is good and providing spare parts was an execellent consideration. All in All an excellent product. Definitely ordering the train for my next build. Wow. This has been the most challenging and most rewarding build yet. I have built all of the models except the rail manipulator and the ones that are to be released in 2018 fton the Mechanical Evolution campaign. The engine was very challenging but after watching some youtube videos and reading others comments on the product I was not going to give up. I am so glad I saw it through to the end. It was fun to put together and troubleshoot to get it fully functional. What a great experience!! Thank you! I ordered this model for my grandson Jonathan who is turning 11 as one of his Christmas gifts. My expectations of this model are quite high based on description, pictures and video of it published on Amazon and Youtube. My grandson and I have been putting different models of cars, ships and aircrafts together ever since he was little. This race car model is definitely different from everything else we’ve played with. I am excited to give it to Jonathan and see a spark in his eyes. Amazing engineering! Very satisfied with the purchase of this race car model. First, the design is absolutely outstanding! 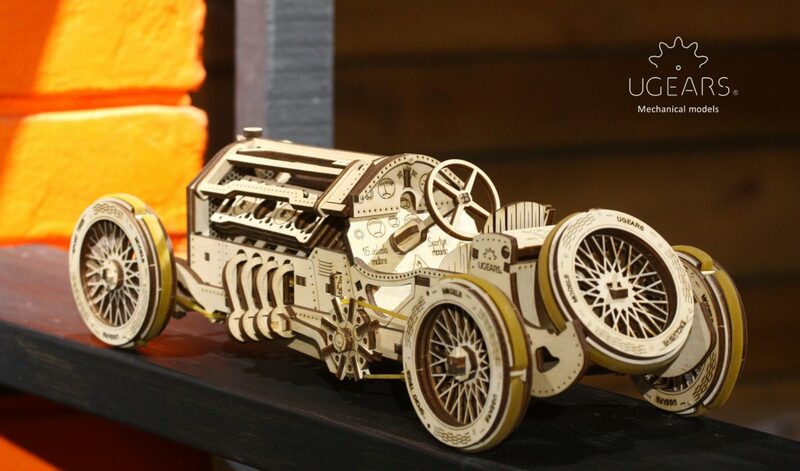 I have not seen anything as elegant and detailed as this Ugears U-9. 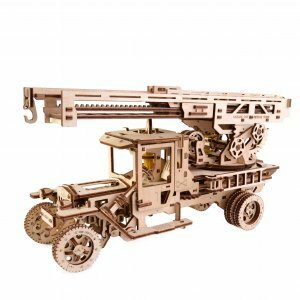 Second, the quality of materials is beyond anything else on the market: almost all of the models similar to this one are made of cheap plastic. Here we are offered a high quality wood ( that actually even smells like wood too!). 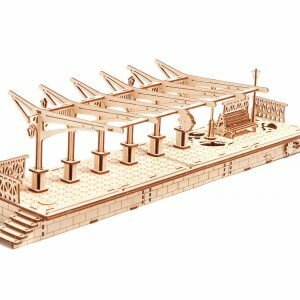 Third, it is not only an assembly kit, it is a fully functioning model that will not become just a dust collector on a shelf. This model definitely has a few flaws, but they are so minor, and are easily out weight by all the advantages it offers.